Every one of those days 3,751 children have been murdered. Every. Single. Day. 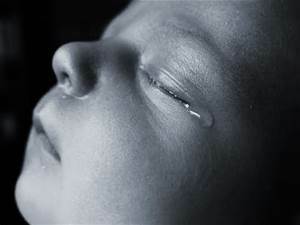 57,554,295 abortions have been performed in the United States since January 22, 1973. A Huffington Post headline from 2013 read, “30,000 Yearly Gun Deaths is a Health Epidemic.” At 1.39 million per year, it’s safe to say abortion has surpassed epidemic and gone straight to catastrophic. So why doesn’t theHuffington Post run that on their main page? Over 57 million babies, tiny little boys and girls, have been murdered and we’re not supposed to talk about it? I was 18 when I became pregnant, about a year ago. I had been in a one year relationship but broke it off shortly before finding out about the pregnancy. There was no fight; we just didn’t love each other anymore. I had been on the pill, so I feel I did my best to prevent pregnancy, and yet I had terrible luck. As a college student in a prestigious university, becoming pregnant during my freshman year would have ruined my life. I have so many aspirations that could never be realized if I had been sentenced to 9 months of pregnancy and a child. Furthermore, the mere thought of having something growing inside me when I didn’t want it was horrifying. I cannot imagine not being allowed to control my own body. I have always been pro-choice, and I am so eternally grateful to every pro-choice activist and politician! How ironic that Sarah couldn’t imagine “not being allowed to control” her own body yet had no regrets taking that control from someone else. The 1 in 3 Campaign offers up similar stories on their website. All are horrifying. Many allegedly submitted anonymously. After reading these stories, one gets the impression they aren’t real. For the sake of society, I hope they aren’t. Any story that begins with, “I had my first abortion…” isn’t something I want to continue reading.